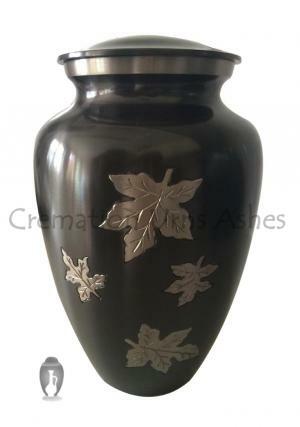 The Classic Falling Leaves Urn is hand casted from high quality brass, and finished in pewter and black pewter. The falling leaves design, which was hand created for the urn, is picked out in silver pewter - a beautiful contrast to the sober black pewter finish of the main body of the vase. The lid of the Classic Falling Leaves Urn is finished in the same black pewter, with a silver pewter band. 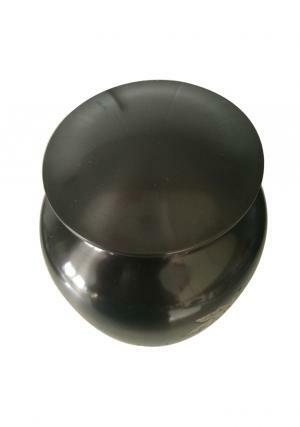 It is half-domed and secured to the body of the urn using strong, reliable screw threads. 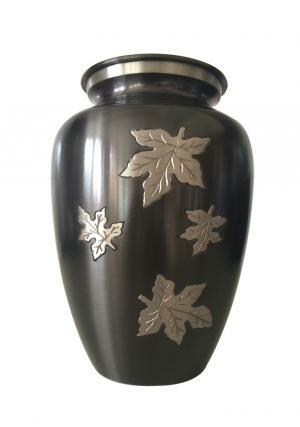 The Classic Falling Leaves Urn is approximately 1.9kg in weight when unfilled. It is large enough to hold the full ashes of an adult, standing at 10" in height. Please note that this urn is matched by our Falling Leaves Keepsake Urn, which is designed to hold a small portion of a loved one's ashes for personal memorial use. 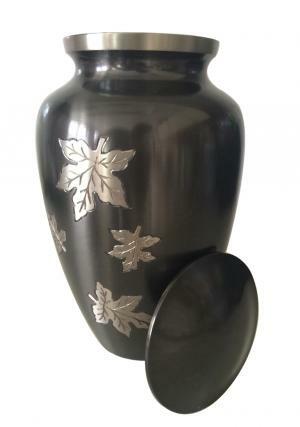 The full size Falling Leaves Urn fits a wide variety of mourning and memorial situations thanks to its timeless design. Celebrate and remember the autumn of your loved one's years thanks to its touching look and feel. Customers wishing to purchase any of our quality metal urns and memorial items from outside the UK are advised to contact us for specific delivery times and prices. 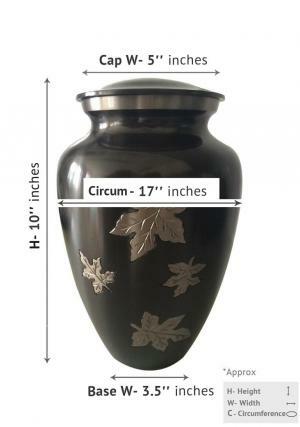 If you have any questions about this urn, or about any of our products, please contact us on cs@cremationurnsashes.com.